The Fig Leaf offers a unique and personalized integration of the Akashic Record healing experience enabling you to facilitate your own ultimate healing. 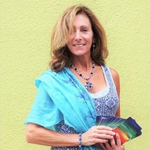 I am an intuitive holistic healer, Akashic Record reader and certified hypnotherapist. Early in life, I discovered that our bodies have the ability to heal themselves, but we often need a little help, due to our environment or belief patterns that we were born into this life with. I am a lifelong intuitive and have been practicing holistic healing for over 15 years. As a holistic therapist, I use Reiki and other forms of energy therapy to create an energetic environment within your body that is conducive to self healing. As an intuitive I am able to tune into one’s energy field and assess what is required to assist the client back to whole body wellness. Physical, mental, emotional and spiritual health and well being are very important, and interconnected. I help you to balance them all, bringing not one aspect of yourself, but every single aspect of yourself into total wholeness. I believe in the body’s ability to heal itself, and to regenerate healthy new cells for optimum health and well being. But the quality of our food, our stress level, and other factors contribute to our overall state of wellness. Medicines can help cure us of the disease that is in our physical body, but holistic health care enables us to HEAL all of our body: The physical mental, emotional and spiritual. Healing yourself at the source of the issue, not just from the symptoms, ends the cycle of disease in our bodies. This unique and personal integrated method offers a multi faceted approach to your experience; uncovering the root issues of problems, accelerating and deepening your ultimate body~mind~soul healing. I consciously stepped onto my spiritual journey in February of 1987 when my first husband died suddenly in a car accident. I was 25 years old, and I have been on a path of self discovery ever since. It is a never ending journey in which I have learned and experienced much. Drawing on my own experiences of spiritual discovery, I have been teaching and coaching those who are just stepping onto their own spiritual journey as well as those who are firmly on their path. If you are a novice who has had a recent spiritual experience that has triggered something in you to reach for more, or someone more experienced who is seeking validation from someone who has been on this path for many years, I am here to offer assistance and support. Akashic Records Readings: Akasha is a Sanskrit word meaning “primary substance, that out of which all things are formed.” The Akashic Records contain the record of every soul’s existence and are known in every spiritual tradition. The Records are filled with the wisdom and energetic input that can be inspirational and supportive to everyone, supporting us in making the fundamental shift from self-reliance to Divine reliance. Healing work done within the Records is amplified, and offers powerful soul level healing, enabling us to have a more conscious relationship with our own soul. Hypnotherapy: Using the power of positive suggestion, hypnosis is a powerful healing tool that can be used to facilitate almost any type of therapy. Hypnosis is the natural state of awareness that occurs between wakefulness and sleep. Past life regression hypnotherapy: Sourcing past lives that you may have experienced and locating, discussing and healing root causes of current issues/patterns. Standard hypnotherapy: Used in treating smoking cessation, weight management, and other types of stress. Hypnotherapy within your Akashic Records can extend the scope and depth of your healing at the soul level not just the ego level. Hypnosis within the Akashic Records can potentially shift lifetime patterns that are ready to be healed. Intuitive Healing using Energy Work: With growing scientific evidence that toxic emotion can contribute to disease and the awareness that emotions, feelings and the power of thought have a direct bearing upon our physical health, there is increasing interest in changing how the mind influences the body to create optimum health. Belief and feeling work empower people with the ability to remove and replace negative emotions, feelings and thoughts with positive, beneficial ones. Intuitive Soul Portraits: I offer the unique “side benefit” of being able to paint your Soul Portrait! As I open your Akashic records and tune into your energy field in order to help you to heal, I am able to “see” the energy of your soul. I am a painter, and offer this personal and unique visual reminder of the beauty of your inner self as a keepsake and as a tool to help you to delve more deeply into your own soul. I am a Holistic Health Provider. My desire is to help anyone who needs it, to expand their awareness, and find complete health through energetic, holistic body work. 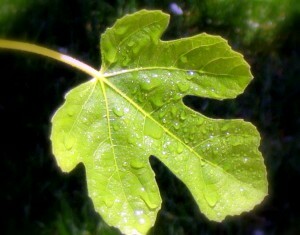 About the name The Fig Leaf: Historically the fig represents peace and plenty. Spiritually the fig represents our spiritual and mental fertility, or our “rebirth.” The fig’s many seeds are supposed to signify unity and the universality of true understanding and knowledge. In the bible the fig is often referred to as the fruit of Heaven. I wish you only love.